We are very proud we recycle and contribute to giving objects a second chance. We accept donations of gently used items as well as gift cards/ cash donations. We find families in need and help bring in a little help. We focus on educational toys, books, play structures,clothes, diapers and anything else in between. 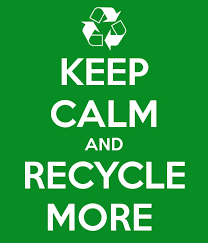 Let us know what you have to contribute for reuse will let you know if we can help you dispose. This is something we offer for our love to reuse and passion to help others. Due to many generous donations we have been able to help many families in need with a variety of things for kids, mom or families. Thank you very much to those of you whom reach out donate and recycle. Please continue to keep our location in mind as a safe place for donation drop off. We like to help out families in need because we all need help from time to time. Our Center goes through a lot of supplies, materials and paper base products due to constant sanitation/cleaning & everyday use. We ask if you are able to spare occasionally any of the items below our class would greatly appreciate it. Below is a list of commonly used products we go through at our center rather rapid.